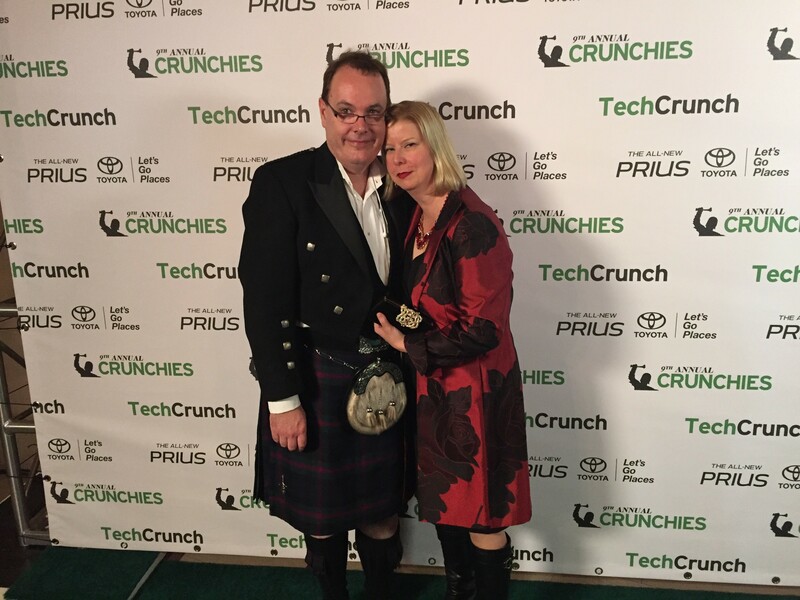 Yours truly and my hubby, David Hedley, in his dress kilt. “Welcome to The Crunchies. It’s the glam and glitz of the Oscars, with none of the public interest,” is how Chelsea Peretti so poignantly opened the 9th Annual Crunchies Award ceremony at the San Francisco War Memorial Opera House. For those of you who haven’t heard of The Crunchies, fret not, you’re in good company. It’s the annual awards night for the tech industry, hosted by TechCrunch, a prominent tech news outlet. The awards night was an awkward mix of glitz, money and “I borrowed this purse from my mom”. The angst in the room reminded me so much of the first time I volunteered to be a chaperone at my daughter’s first high school dance. As Nirvana used to sing, “Here we are now, entertain us …”. The crowd was fun to watch with everything from jeans to Prada heels parading around, mostly very uncomfortably in their formal wear. Ron Conway, from SV Angels, was easy to spot as the only naturally white hair in the crowd. And the Snapchat mascot was in the house, taking up three seats with his costume. A highlight of the evening was the first award for Fastest Rising Startup, which went to Slack. But instead of the CEO, Stewart Butterfield, who was in the house as he accepted a later award for Founder of the Year, the award was accepted by four of Slack’s female engineers. Looking confident, colorful and strong, and beautifully blowing the notion that women engineers are always awkward and geeky. I was ready to wave my feminist flag in support! Clearly this was a planned move, but one I fully applaud as it sends a message every woman in the room needed to hear. 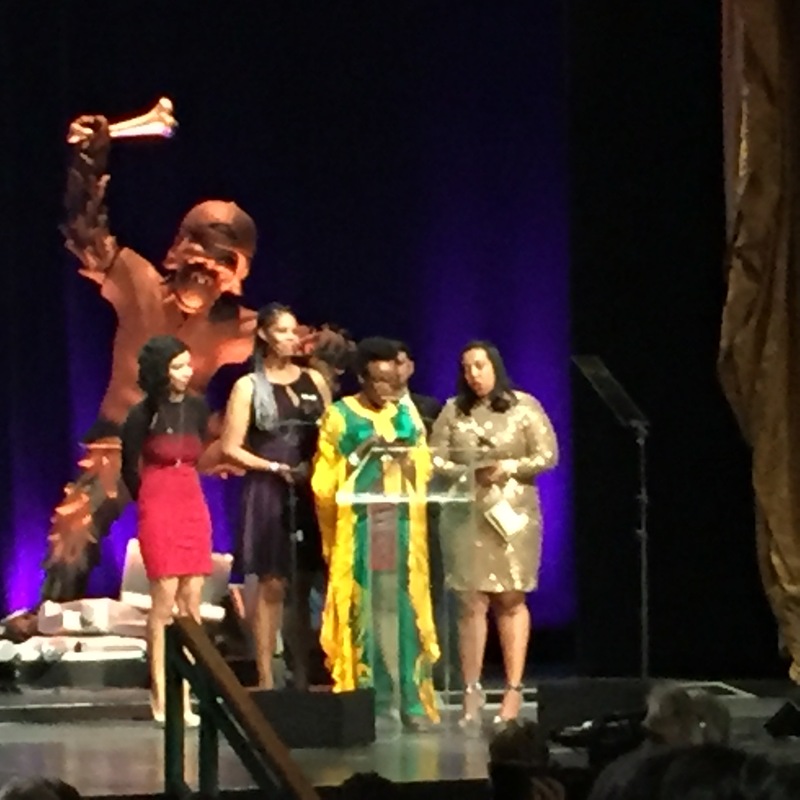 Another highlight was Kimberly Bryant of Black Girls Code, who clearly went over her 30s acceptance speech. But she graciously took the time at the podium to highlight the work of her peer nominees, a move that impressed me deeply. I was disappointed that Elon Musk and Mark Zuckerberg were not present to receive their awards. This is tech’s big night and it’s not as thrilling without the tech stars being present. Chelsea Peretti was a great host. Far cry from the intense misogyny of last year’s host, who shall remain unnamed. She was funny and on point. One of my favorite lines, “There really should only be one award and that should be for ‘best viable business’ and the nominees should be Facebook, Google, Amazon …”. Touché, girl!